This monument in front of the Town Hall commemorates the centenary of the Great Trek (1836 - 1838) when some 20 000 farmers (Boers) emigrated from the Cape Colony in defiance of British policies, and crossed the Orange River into the interior opening it up for white settlement. In front of the monument are imprints of hoofs and human footprints. The hoofprints are those of Jakkals and Stryker, horses that belonged to Colonel NE van Rensburg. 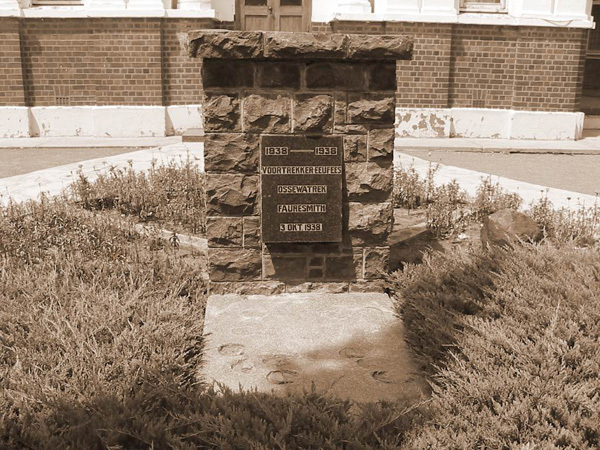 The footprints are those of war veteran and dispatch rider for the Boers during the Anglo Boer War, Louis Johannes Holtzhausen and his wife Mrs MSE Holtzhausen (born van der Merwe). This monument is situated on the farm Welgelegen, approximately 5km out of town on the Jagersfontein Road. It was unveiled on 1 December 1988. It is visible from the road. 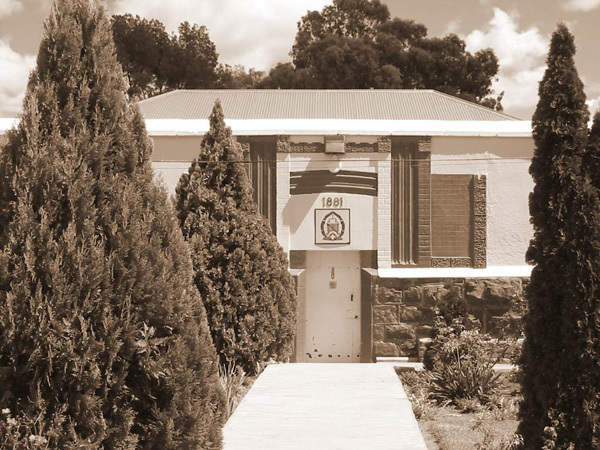 The Fauresmith prison was built in 1881. The main building material is stone, and it has been declared a national monument. It is still in use for the detention of sentenced prisoners and prisoners still awaiting trial. This old house appears on some of the first photographs of the town. It is located at 12 Oosburger street, and was declared a National Monument on 19 May 1989.